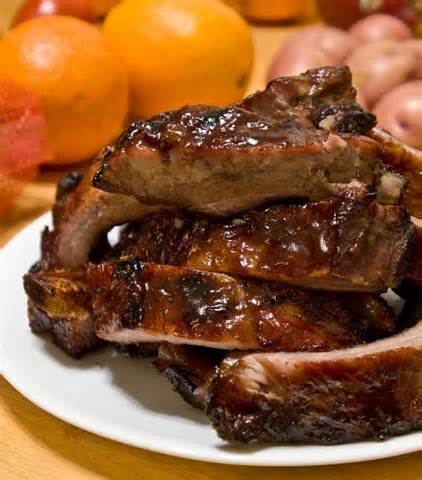 Try these tangy Barbecue Ribs Recipes. It's all about the sauce. Try these at your next 4th of July party. Or try them any time! Then scroll down for links to more traditional American recipes. 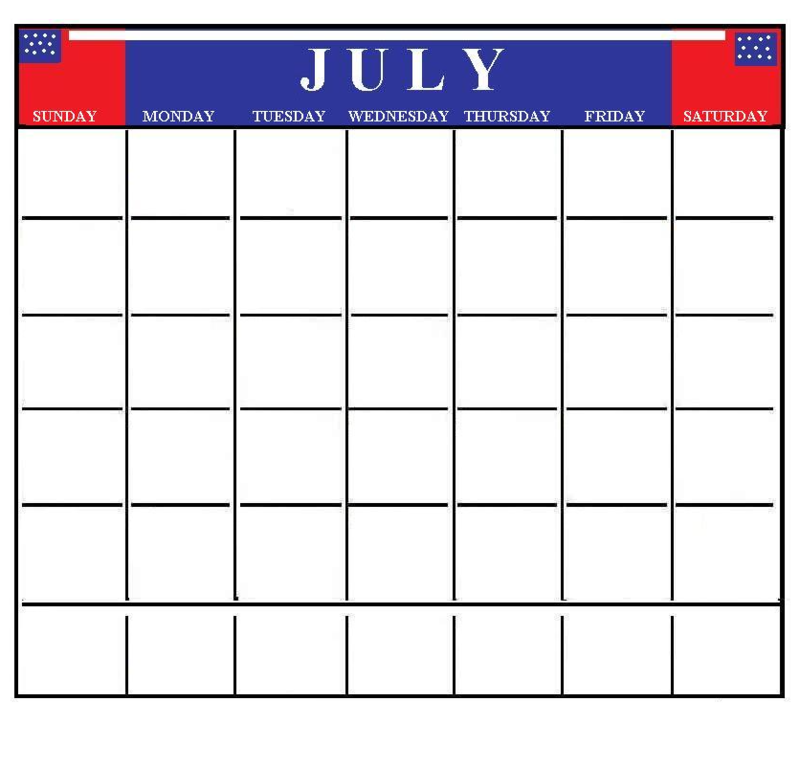 Also featured on this page is a Free Printable, reusable calendar for the month of July. 1 cup of North Carolina Barbeque Sauce or whichever sauce is already your favorite for Barbecue Ribs Recipes. Place ribs in a 9x13 inch baking dish. Pour barbecue sauce over the ribs. Cover the dish with aluminum foil, and bake in the preheated oven for 60 to 90 minutes, until the meat comes off easily. Shown above is a free, printable, reusable, "forever" calendar for the month of July. Just right click on the calendar image and save it to your picture file for future use. July is the seventh month of the year, and is named after the Roman Emperor Julius Caesar, who was born in that month and gave it 31 days back in 46 BC. In America, the main holiday occurring in July is Independence Day (also known as the 4th of July). International holidays in July include Canada Day on July 1st, France's Bastille Day on July 14th and Revolution Day in Egypt on July 23rd, among others. The only states admitted to the Union during the month of July were New York, Idaho and Wyoming. The Western Zodiac signs associated with July are Cancer and Leo. In America, July is widely known as the month of the The Major League Baseball All-Star Game. Other July sporting events include the San Francisco Marathon. July is a popular month for annual festivals and state or county fairs. July's birthstone is the red ruby, symbolic of peace and contentment. July's official flower is the Water Lily.